The first-ever Entertainment Content Protection Summit in Los Angeles saw keynote speaker Taylor Hackford describe piracy as one of the most threatening issues that has hit the movie industry in its entire history, and call Google an “enabler” of illegal downloading. 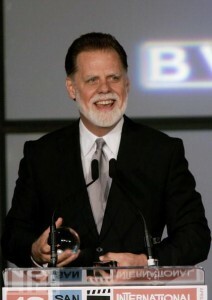 Hackford suggested that the US lost $25 billion annually to piracy, causing a “devastating effect” on the economy, with the entertainment business being the second largest exporter in the US. “If we give that away, what are we going to sell,” he asked.